There's frequently a disconnect between how people portray themselves online, and how they act in reality: the bubbliest, most engaged person on iChat ends up being taciturn and standoffish in person. Warm emails transform into cold interactions. Witty banter falls flat when you're face-to-face drinking coffee. The creator of a gorgeous stream of Instagram pictures isn't so fun to hang out with when she's documenting your dinner rather than eating it. 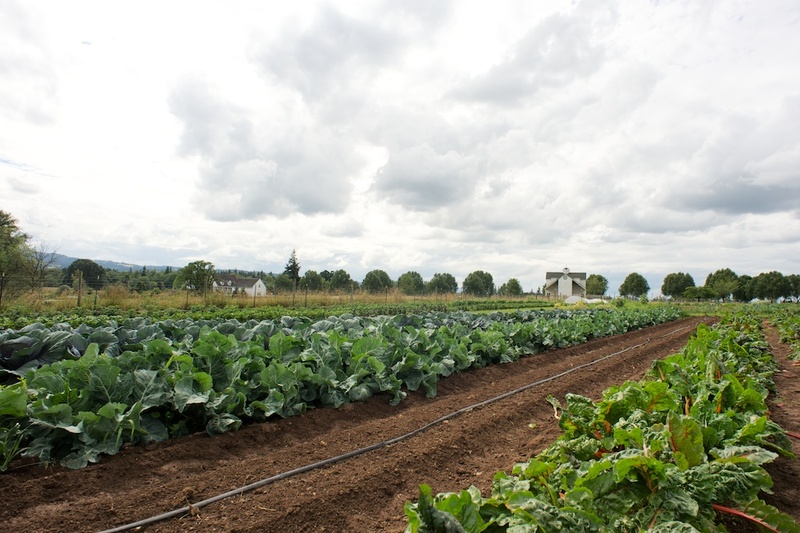 Working Hands Farm has a fruitful online presence: farmers Brian Martin and Jess Powers post frequent photos and updates about daily life on their vegetable farm in Hillsboro, Oregon to Instagram, Facebook, and their blog. They photograph with well-trained eyes, each image revealing a new angle, color, or sunset on the farm. The couple posts photos of homemade bread-and-butter pickles, naps against their cow Ellie, sessions of birthday archery, and hands clasping human-sized kale. 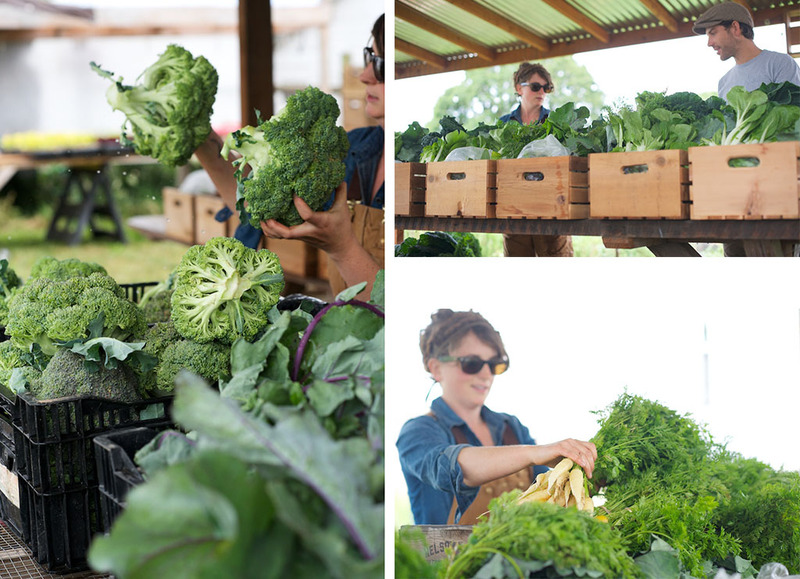 Their weekly CSA updates extend well beyond an ingredient list, providing glimpses into farm life, links to helpful recipes, articles about food issues, and even a request for a projector for movie nights on the farm. Driving out to Hillsboro to meet Brian and Jess, I didn't expect to see farmers dancing in the barn framed by strands of globe lights (as this video on their website portrays), but I was curious about where our conversation would go, and how much of their online identity would be present in our in-person interactions. 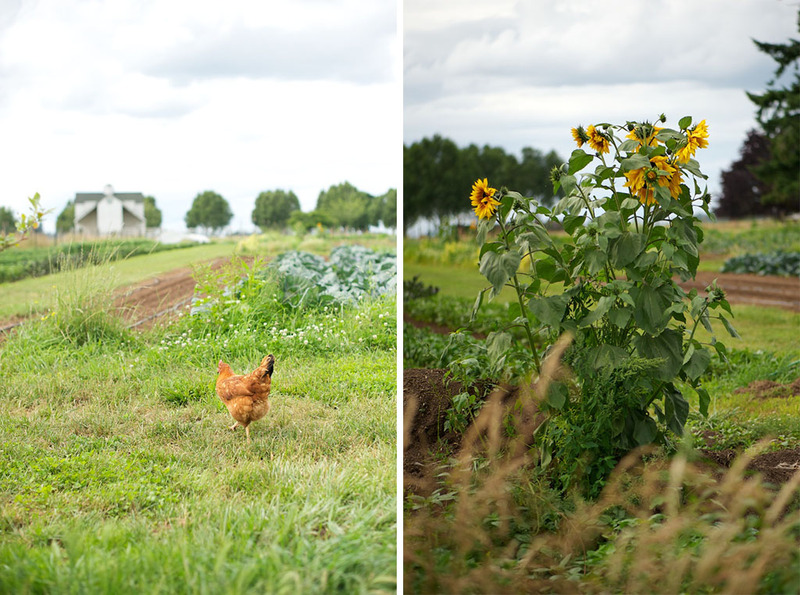 Brian started Working Hands Farm in the fall of 2009 with no farming background and very little gardening experience. After spending extended time in Uganda, drilling clean water wells and installing cookstoves in refugee camps, he returned to Oregon, attempting to process his experiences in Africa. He connected with Cottage Grove's Aprovecho, a non-profit organization focused on permaculture and renewable energy. Its sister organization, Aprovecho Research Center, develops and builds cleaner cookstoves for developing countries; Brian, seeing a natural fit, began to work with the organization. While there, he spent a good deal of time in Aprovecho's garden. After three weeks of eager learning and burgeoning excitement (excitement translated into filling up his Amazon cart with books on gardening, small scale farming, and business management), Brian approached the landowners of a Hillsboro alpaca farm with a business plan. 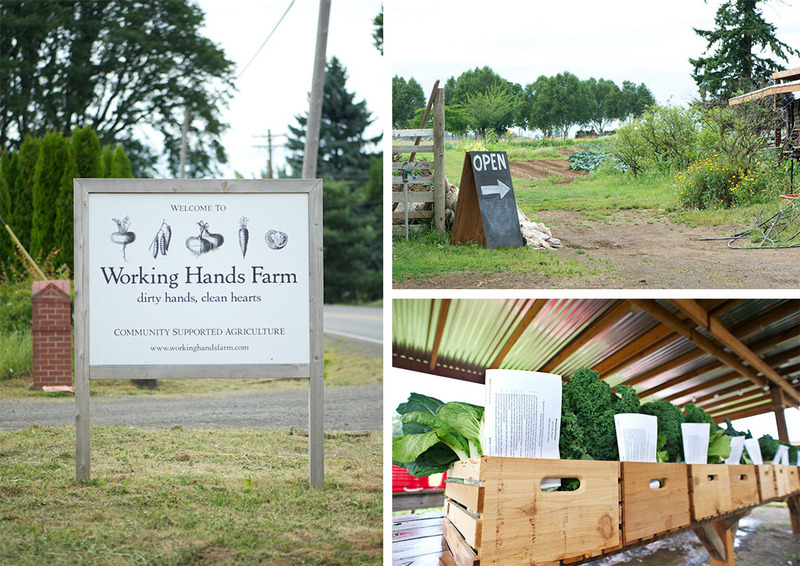 Working Hands Farm was born. Jess joined Working Hands Farm in 2010 with an extensive farming background that included farming with an 87 year old farmer named Jean Iverson, whom Jess now calls one of her best friends. In addition to farms near her home on Cape Cod, Massachusetts, Jess worked at farms in Oregon and Hawaii. Seeing such a wide variety of farming operations changed Jess' perspective on what farming actually means. "It became less of a homesteading idea and more of a community idea," she elaborated. Jess began to operate a farmstand on the Cape with her and her father's produce, quickly building a community around the stand through her newsletters and conversations with customers. She also blogged about farming on her website, which is how Jess and Brian's farming lives intersected. In one of her frequent posts, Jess wrote a complimentary remark about Working Hands Farm, something along the lines of wishing she had visited Working Hands when she had lived in Portland because Brian was doing such good work. Brian traced that comment back to Jess' website and reached out to her. Emails led to phone conversations and letters. After this extended communication, Jess decided to move back to Oregon to work on Working Hands Farm, planning to get to know Brian while she farmed. She arrived as Brian was getting ready to leave for a three week trip to Uganda to build cookstoves. He asked her to join him, and three weeks turned into three months in Africa, where they built cookstoves and tried to help a community diversify their farm. Jess joked, "it was the longest date ever, and we haven't had a date since!" Working Hands' leased land used to be grazed by alpacas, and before that, cattle. 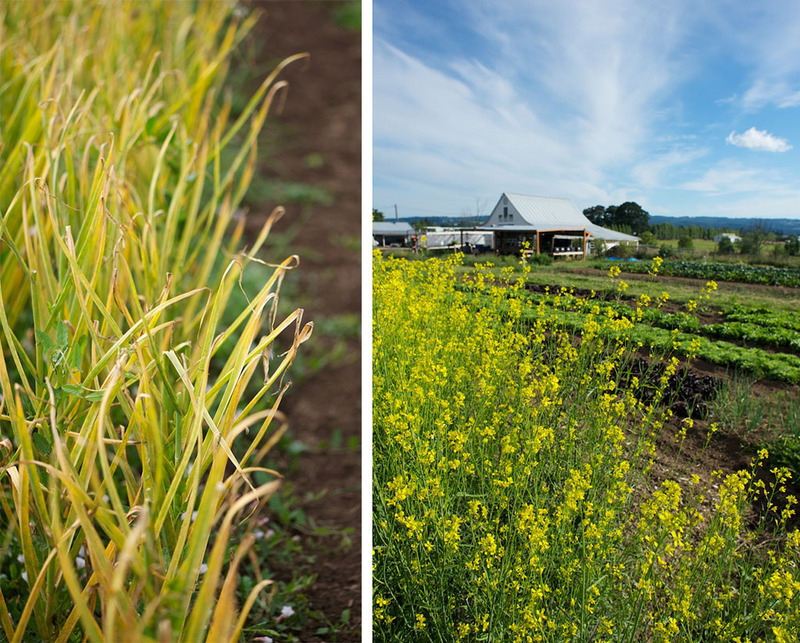 Sections of the farm's soil are so rich with nitrogen that they frequently harvest three foot long kale. 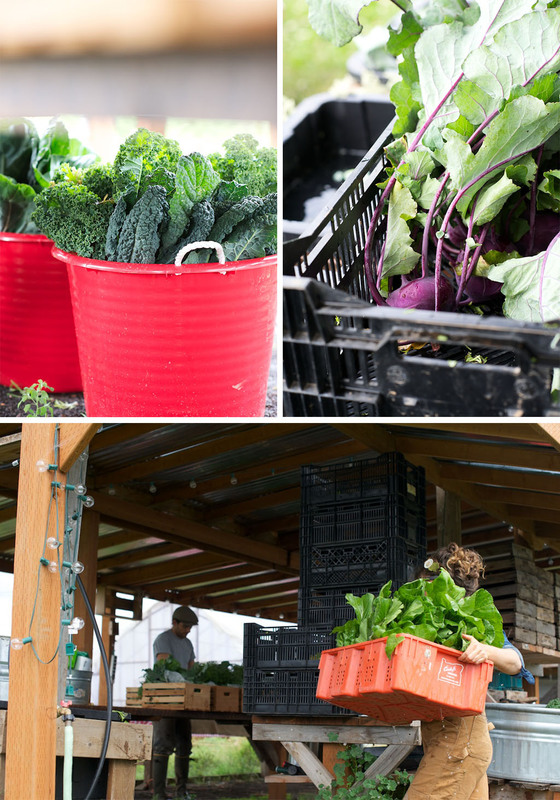 Working Hands' CSA has grown from 15 shares (when Brian first started the farm) to this season's 75 shares. 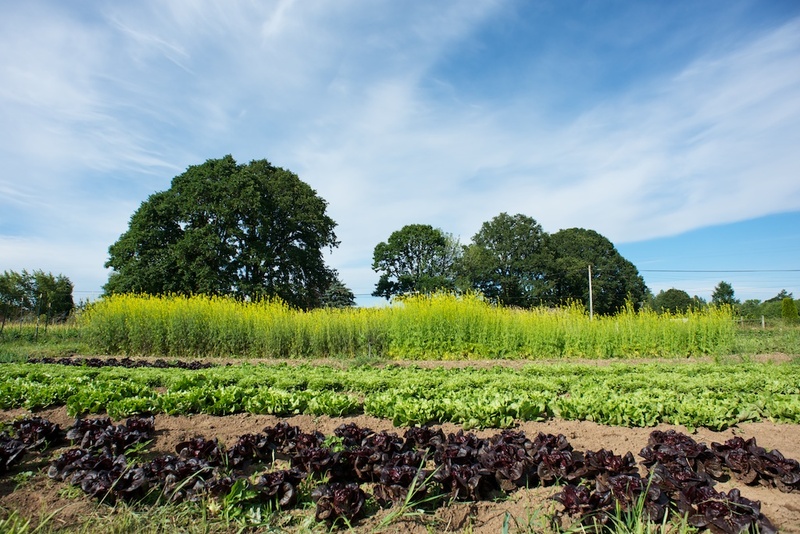 The farmers grow over 60 kinds of vegetables, with numerous varieties of each. This year, they're on track to harvest 25,000 pounds of tomatoes, raspberries, swiss chard, carrots, broccoli, peppers, lettuce, squash, and more. 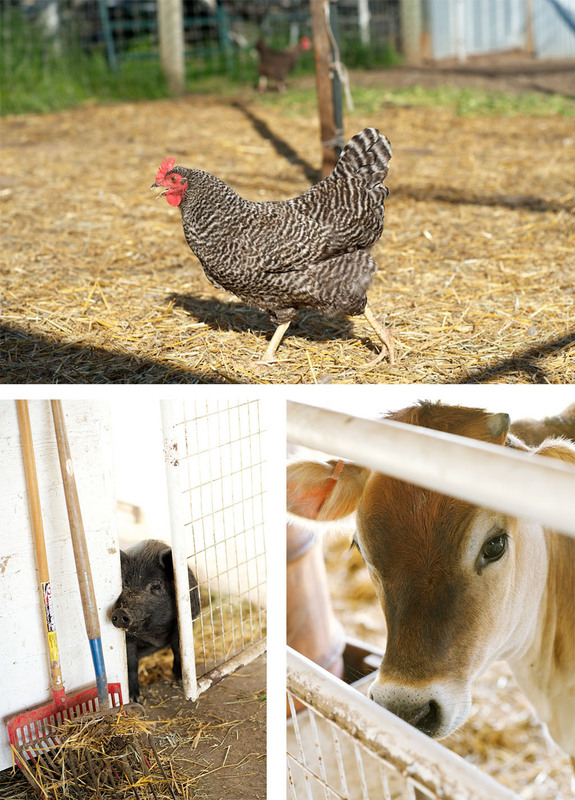 The farm is also home to their cow and calf Ellie and Maribelle, their American Guinea hogs Otis and Truffle, and 100 layer chickens that span 14 different heritage breeds. Along with facilitating their initial meeting and eventual partnership, the Internet plays a pivotal role in the success of Jess and Brian's farm. 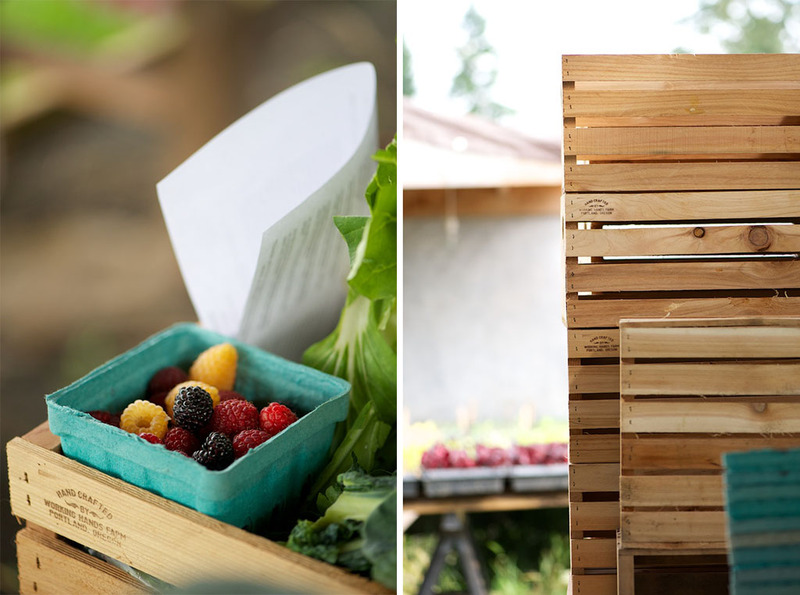 They're able to communicate with their CSA customers in meaningful ways, offering each member numerous entry points into the conversation around seasonal eating and cooking. Some members might check Facebook several times a day, others might favorite items from Working Hands' Instagram feed, and still others might be able to read the newsletter in full while killing time at work. Jess writes the CSA newsletter each weekend, often staying up "past her bedtime" to put it together. These various entry points play "a huge role in having those open conversations with our members," Jess explains. "Connecting with them while they're not here, so they can still feel connected to the farm. I think that's really important. It's not what's in your box this week; it's pictures, about the animals, that extra connection. [That way], they're not just picking up their box and moving on with their lives." This connection is especially important when members pull out food they're unfamiliar with, or even unenthused about (it's true, not everyone likes turnips). As Jess says, "For us, we'll eat seconds of things because why waste it? I think our members are taking on that mentality too: 'I know farmers Jess and Brian worked their patoots off; they do it for us; I know it's making me feel better, so I'm going to eat it.'" They've even witnessed drastic health changes in members over the course of a CSA season, citing members that have needed to invest in new wardrobes and others that have admitted that their healthier partner is looking more attractive to them! 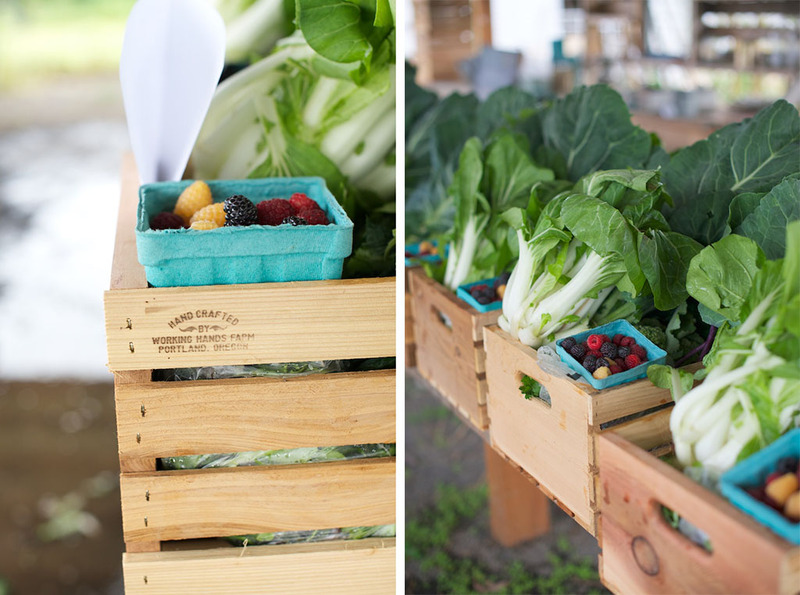 When CSA members come to pick up their crate, either Brian or Jess tries to spend a few minutes with each member to check in with them, asking about both the contents of last week's share ("Did you get through everything? What didn't you get through? How's your health?") and about their week in general. The farmers will excitedly chat about new additions to the week's box, or empathize with people who forgot to use that bunch of kale by talking about all the unique ways to use greens. Some members hang out at the farm for over an hour, wandering around, greeting the animals, and chatting with their farmers. Others are happy to pick up the box, but need to head out quickly. No matter the circumstances, no member can walk in and grab a crate without a friendly interaction. On the Wednesday I observed, several members bashfully admitted that they hadn't eaten everything or had given away food to a co-worker, to which both farmers enthusiastically championed them for their efforts, repeating several times to please bring the leftovers back for piggie scraps. Posting frequent photos on twitter and Instagram has also generated connections that extend beyond their 75 CSA members. Brian seems happily surprised by the sense of community they've developed through Instagram: "Instagram connected us to a network of farmers. Another farm takes a picture of [something] and we can ask how did you build that? Or a rainstorm will blow through North Carolina and [we can say], man that must be challenging; keep it up, you're doing a good thing for the community." Jess and Brian are simultaneously growing and harvesting on their rented land, and planting for the fall and winter seasons on a new property, a few miles down the road, where they'll move this fall. The farmers found an achingly beautiful piece of land that's buffered by wetlands and forest, situated on a floodplane with loamy soil. This new property will allow them to break free from the cyclical worry of renting farmland. In order to afford it, the couple formed an LLC with their families. 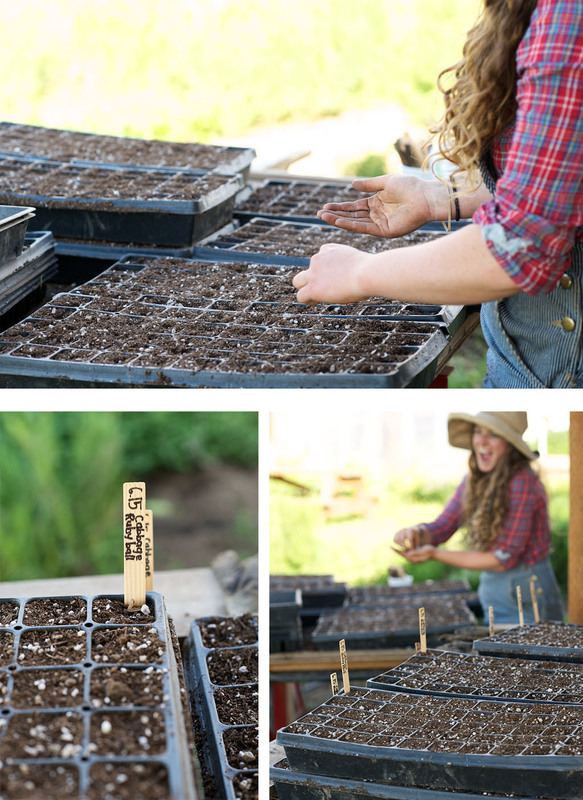 After tilling their new land, letting it rest, and then starting their first round of planting (I saw strawberries, eggplant, and potatoes), Jess and Brian broke ground on a new house, located on the edge of the vegetable fields. 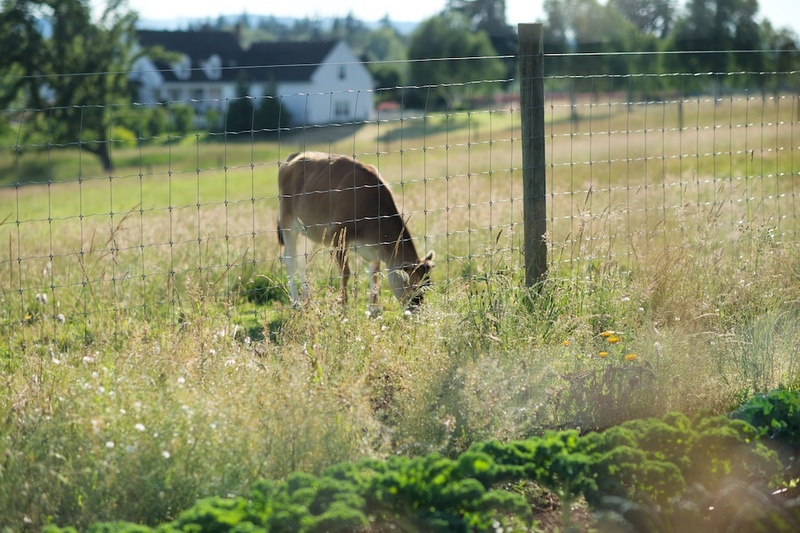 The farm's vegetable production and farmhouse will reside on the lower section of the property, and they plan to acquire beef cattle to graze on the back 20 acres. This move to a permanent piece of land serves as Working Hands' first step into creating a sustainable, thriving business that will allow them to farm for years to come. 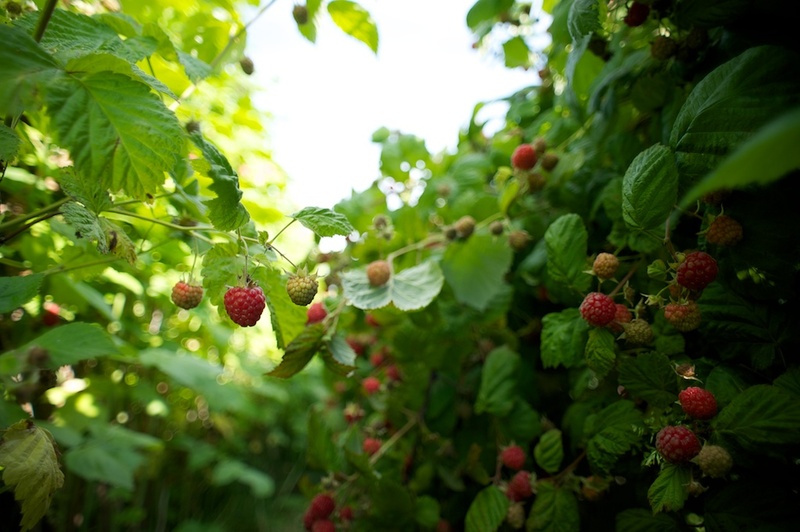 Along with beef production, they plan to focus more on perennials like asparagus, berries, and grapes. Jess and Brian are eager to break the assumption that life-long farmers will barely scrape by, ending each day feeling beaten down and exhausted. As Brian says, "Let's treat the farm like a business; let's not be afraid of being successful. Just because we're farmers doesn't innately mean we have to be poor people with broken bodies. We can be much better farmers," Brian stressed. Jess and Brian's farming lives will always contain challenges, but in their relatively short time together, they've begun to lay the groundwork for a fulfilling, and hopefully less back-breaking, future. Small decisions like buying a wheel hoe instead of hand-weeding can save hours of time and days of soreness. Cooking nutritious dinners instead of grabbing take-out translates into more energy when they wake up the next morning. Taking a nap against their cow or giving a pig a belly rub temporarily removes that frantic to-do list from their minds. Of course Jess and Brian have days where they're utterly exhausted, but they're currently working 100 hour weeks, every single week, so they can have days where they walk past each other high-fiving, days where they end the night with energy to spare, and even days where they can leave the farm for more than 12 hours at a time. "We're both willing to make the investment now and have fun while doing it," Brian explained. When I reached out to Jess and Brian, I wasn't sure if there'd be a disconnect between the romantic, thoughtful, visually appealing presence that they cultivate online, and their demeanor in real life. After spending a few hours with them on their farm, and watching a Wednesday night CSA pick-up, I realized that there'll always be a disconnect between the limited one-sided interactions you have online, and the much bigger, messier, and more enjoyable interactions you can have in person. Jess and Brian aren't disingenuous online: those images they capture are true to their farm. The way Jess writes her newsletter is the way Jess talks in person. Their online presence, rather than a projection of the kind of farm they want to be, is a welcome mat for visitors to witness the kind of farmers they actually are. 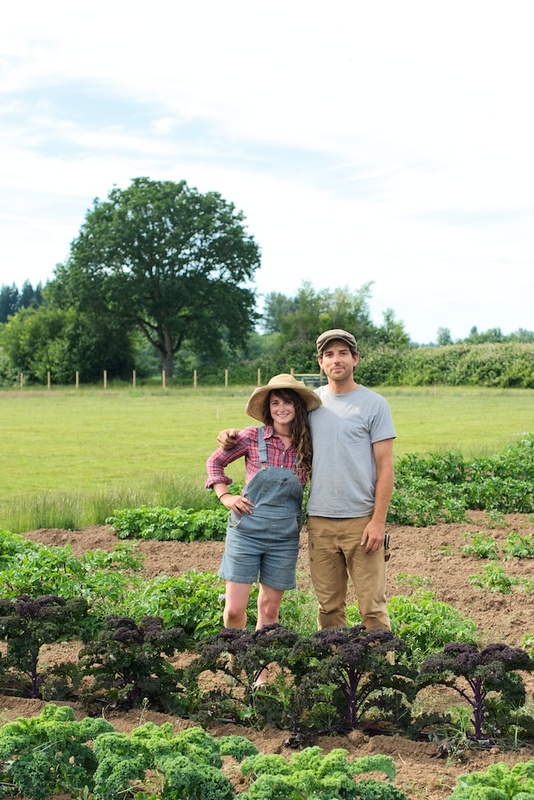 Brian and Jess' goal isn't to present an idealized version of their farm. Their style of communication, in person and online, is genuine, designed to connect and gain perspective. Not all of these communications are easy or straightforward. Recently, Brian and Jess found a plastic bag of wilted kale on their doorstep, with an unsigned note saying that it was the second week in a row this person had received unappetizingly "buggy" kale. Rather than ignoring the note, or even backing off sheepishly, the couple published a photo of the note online, soliciting feedback. They greeted all commentary graciously, whether someone responded with "I'll take their kale – it means you grow organically", or with a comment more along the lines of "the customer is always right". 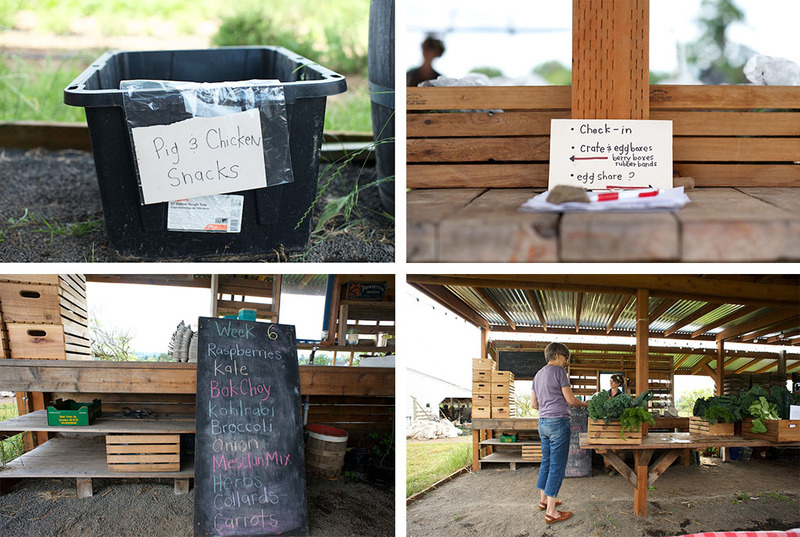 At Working Hands Farm, the "C" in CSA should stand for both community and communication. 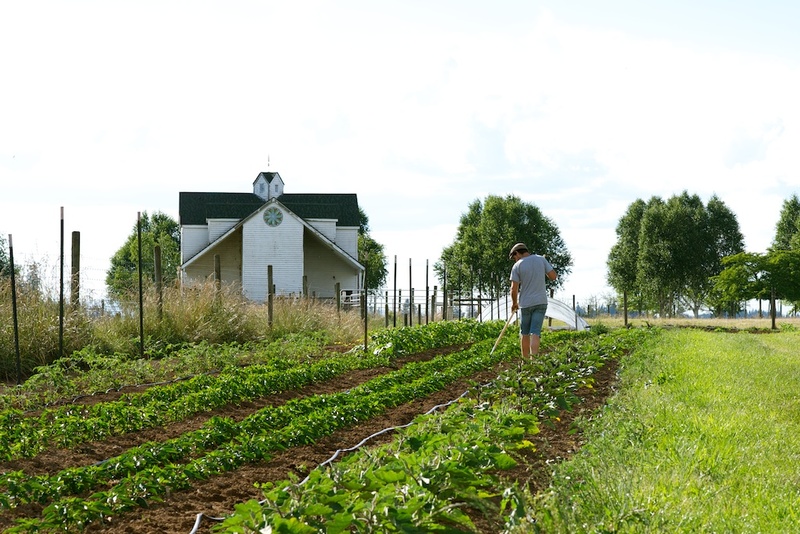 Most members live close to the farm, and this reduced geographical area allows Jess and Brian to maximize their meaningful connections with each person. At the same time, they use the Internet to broaden their impact and connections outside of their immediate Hillsboro geography, inviting varying opinions and perspectives into the mix. 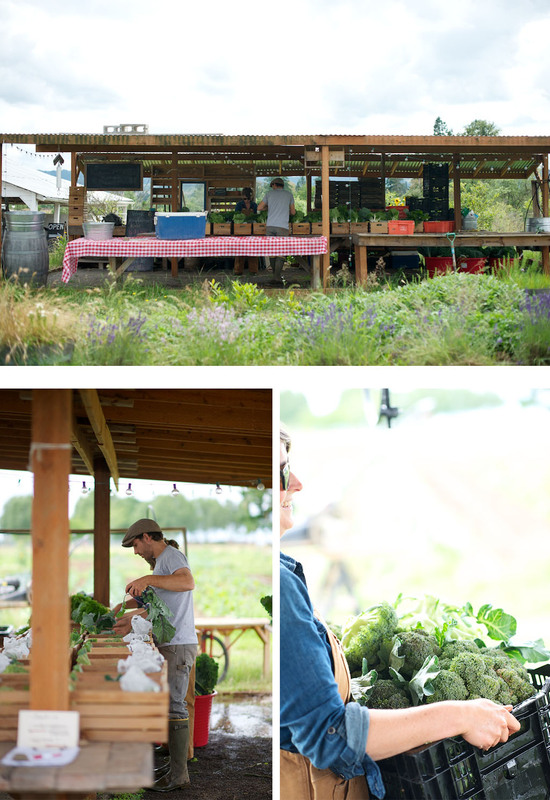 Each connection, whether local or not, in person or online, incentivizes Brian and Jess to create a sustainable farm, one that can continue to foster meaningful relationships – and grow delicious food – for years to come. We feel blessed to have a community that supports and believes in us no matter what the season may bring. The kind of trust can bring certainty to the most uncertain of situations. It truly lightens the load when the weight is carried with many instead of just one (or in this case two). It’s the belief and trust in each other, our members and ourselves that gives us the energy, drive, passion & purpose to do the very best job that we can do. We’re looking to leave this place a little bit better than we found it and if in doing so you believe in yourself a little bit more each and everyday...well, then we’d say life is pretty good.